CHARLESTON. 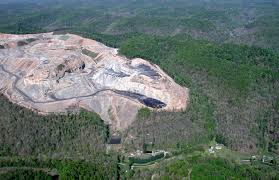 W.Va. – Seven local, regional and national groups filed a formal notice on March 17 of intent to sue the U.S. Office of Surface Mining (OSM) for failing to intervene on West Virginia’s lax oversight of mountaintop removal and other destructive surface coal mining – a state program that has, for decades, allowed the coal industry to ravage the environment, putting people at risk and destroy local communities, assert the groups. The groups on the notice are the Coal River Mountain Watch, the Ohio Valley Environmental Coalition, the West Virginia Highlands Conservancy, the West Virginia Rivers Coalition, the Center for Biological Diversity, the National Wildlife Federation, and the Sierra Club. According to the groups, the state’s chronically poor oversight has included a persistent failure to conduct inspections meant to protect people and the environment from coal companies that operate outside the law. 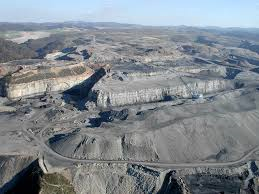 They claim that out-of-control mountaintop removal coal mining is linked to epidemics of cancer, cardiovascular disease and birth defects in affected communities. West Virginia has also failed to undertake required assessments to ensure lakes, rivers and drinking-water wells aren’t harmed by mountaintop removal mining and other destructive surface coal mining practices. In June 2013, 18 organizations joined a legal petition to the Office of Surface Mining detailing the extensive mining oversight failures of West Virginia’s DEP. The federal agency has acknowledged that five of the claims have merit, but has failed to take action toward promulgating a federal program. Under the federal Surface Mining Control and Reclamation Act, it is required to step in when a state fails to implement, enforce or maintain its program for overseeing surface mining. The notice of intent details the state’s failure to complete mandatory inspections evaluating whether a mining operation is complying with the law.